A paper published in the journal Molecular Aspects of Medicine reports that "regular consumption of any type of tea is likely to reduce the risk of cardiovascular disease, probably due to levels of substances called flavonoids that are found in tea." And green tea research marches on: Additional studies indicate that the green brew we love so much has a protective effect on liver function in the face of lead and may help keep our cells young by protecting them from DNA damage. And these findings are only the tip of the teapot when it comes to the health benefits of green tea. 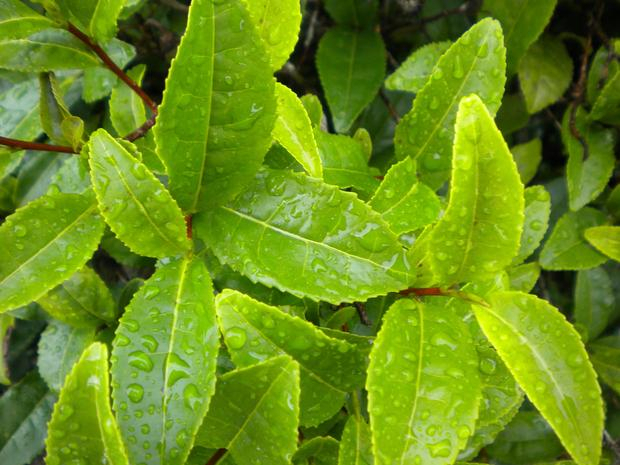 Luscious leaves ready to yield a healthy brew.